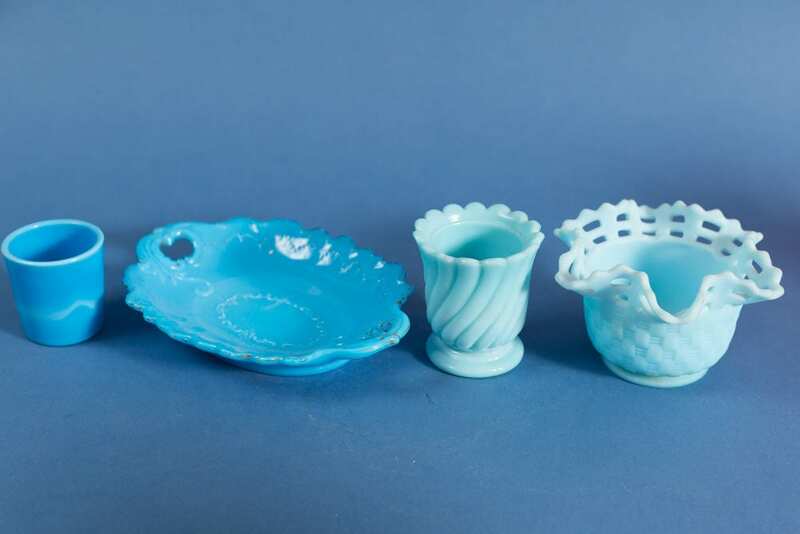 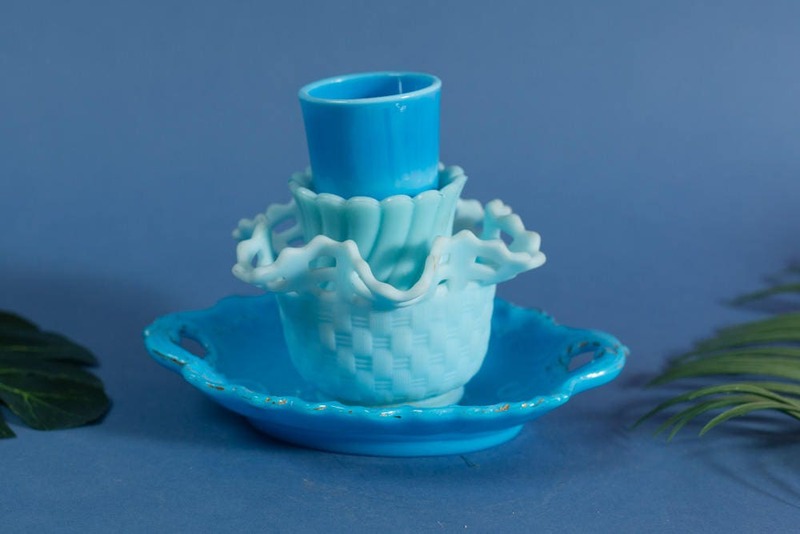 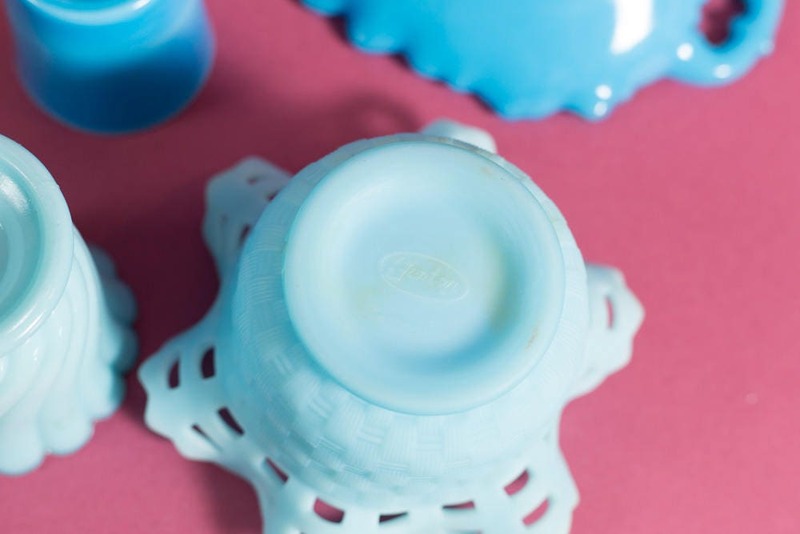 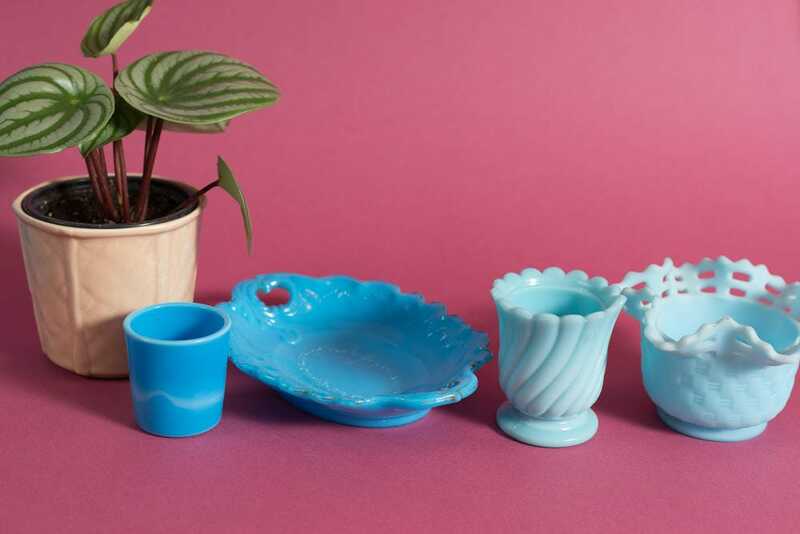 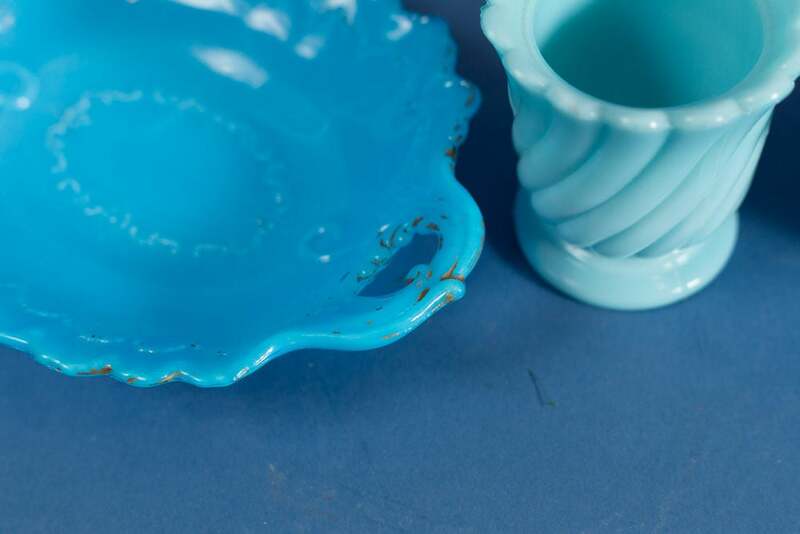 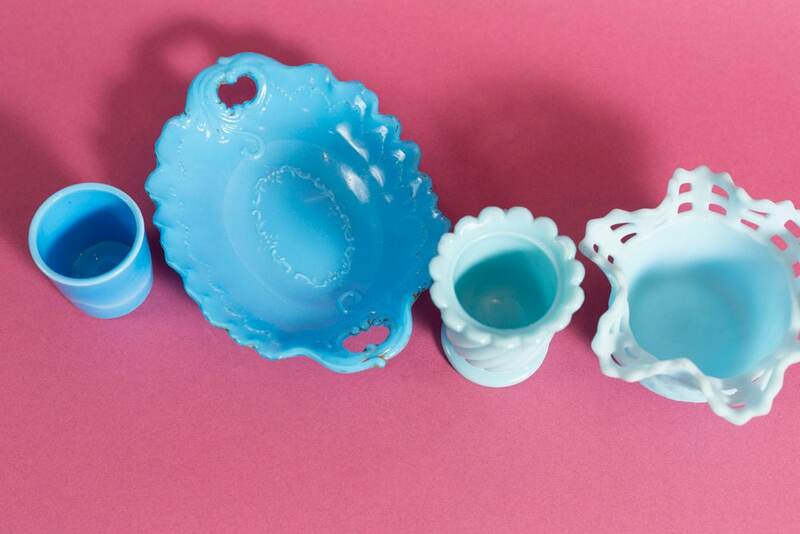 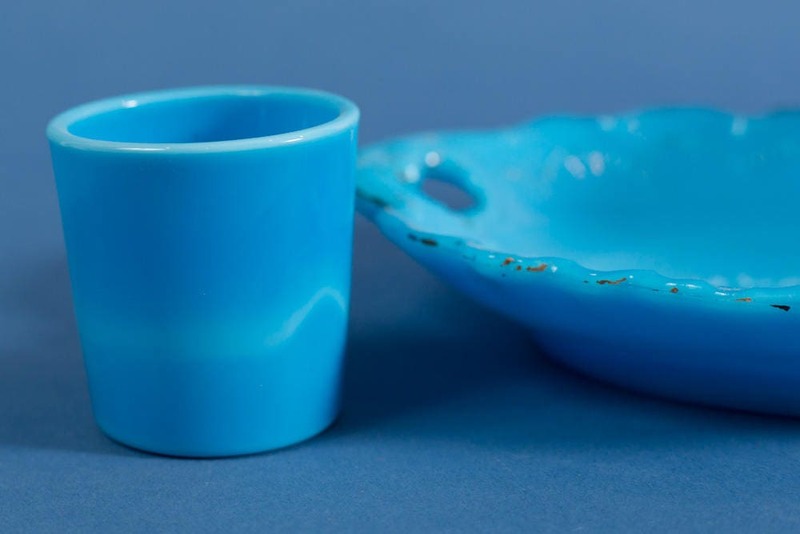 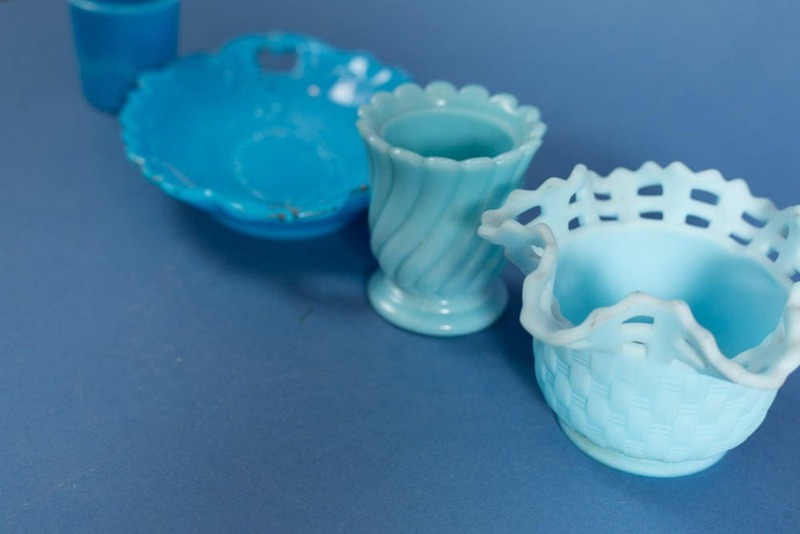 These rare and wonderful vintage blue milk glass planters and dishes are cheerfully wonderful and makes a great gift for that special friend. 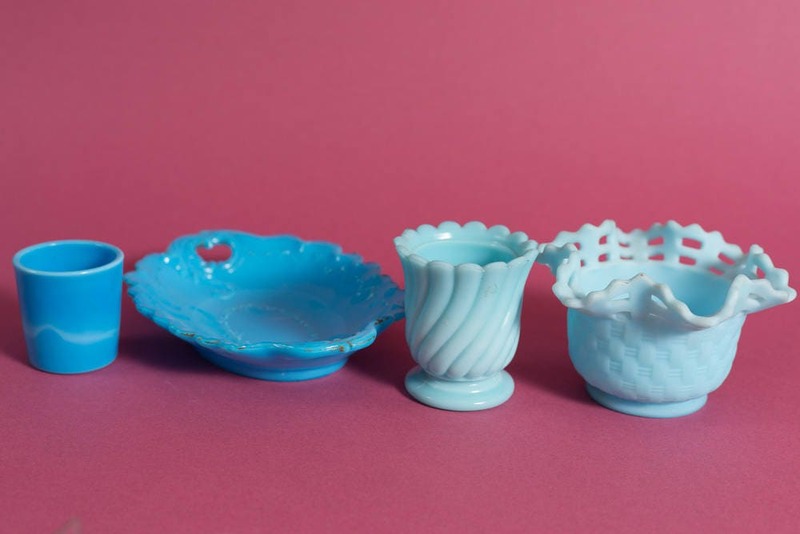 They also makes beautiful wedding or dinner party table centrepieces. 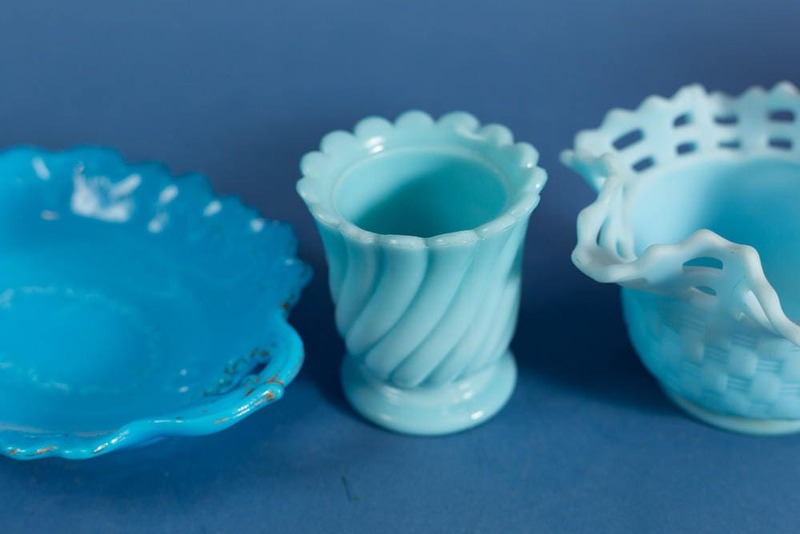 Price is for the set of 4.